(MARINA) My dad saw this recipe on Smitten Kitchen and he highly recommended that we make them. 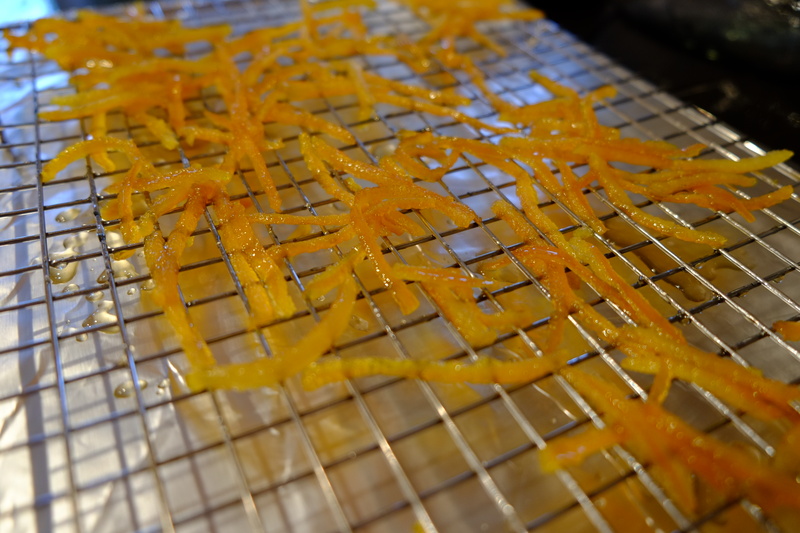 Little strips of orange zest covered in chocolate…Yum! Orange and chocolate are two of my dad’s favorite dessert flavors. But because chocolate gives him migraine headaches, my dad can’t have chocolate so we had to make special ones for him – just the orange strips. But my mom and I ate the ones with chocolate – so good! then simmer them for a long time in sugar water. Scoop them out and let them dry. All that’s left is to plunge them into a chocolate bath. They look like little worms! 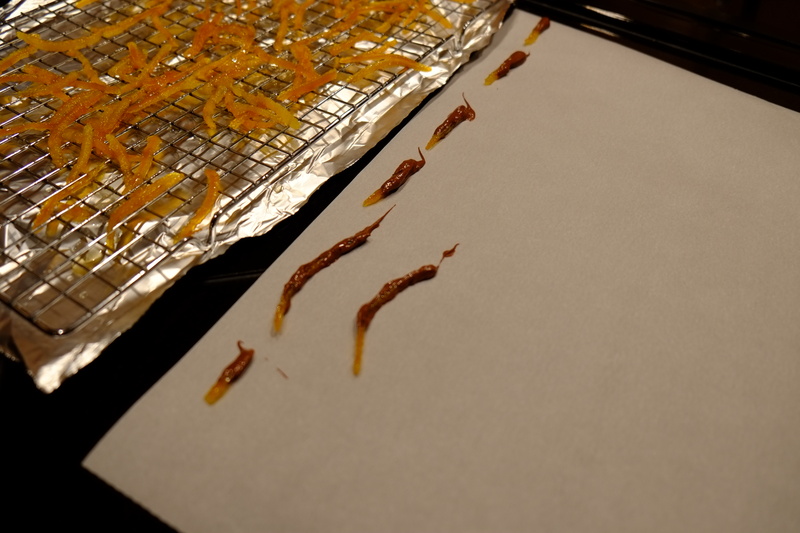 These orange peels took two days to make but it was all worth it. As we finished making them, when my mom wasn’t looking, I stuffed as many as I could in my mouth! Their like soft, chewy chocolate orange pops! Just for the record, these are the best for parties, as a gift, or a special present for your daddy! 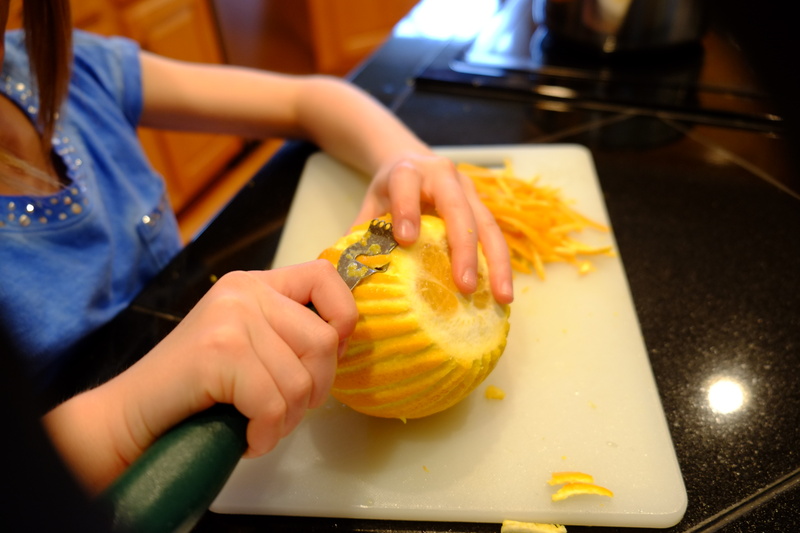 With a zest tool, peel the zest in long strips from three oranges. Place the strips in a pot of boiling water. Boil for five minutes. Drain. Repeat this boiling process two more times, rinsing the strips after each boil bath. Put one cup of water and one cup of sugar in a pot and bring to a boil. This is the simple syrup. 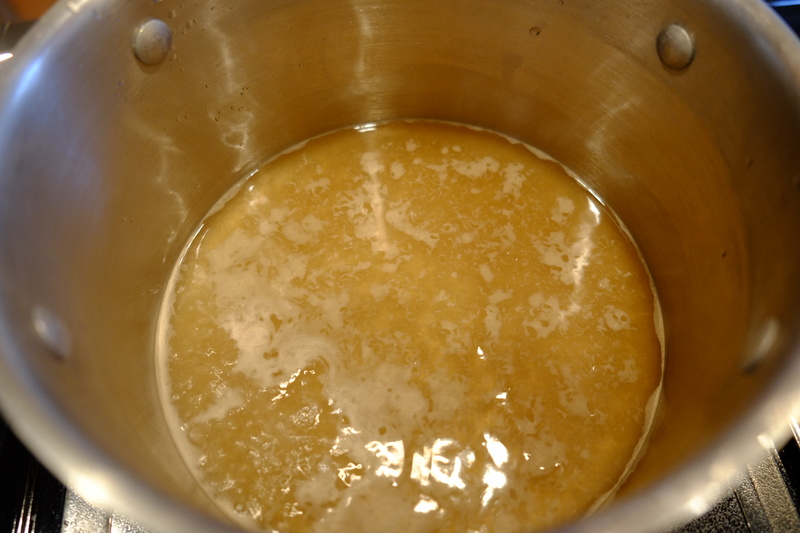 Place strips into the simple syrup and lower the heat to a slow simmer. Simmer for one hour. Don’t forget to check on them! Remove the strips and place on to a cookie rack. Dry overnight. 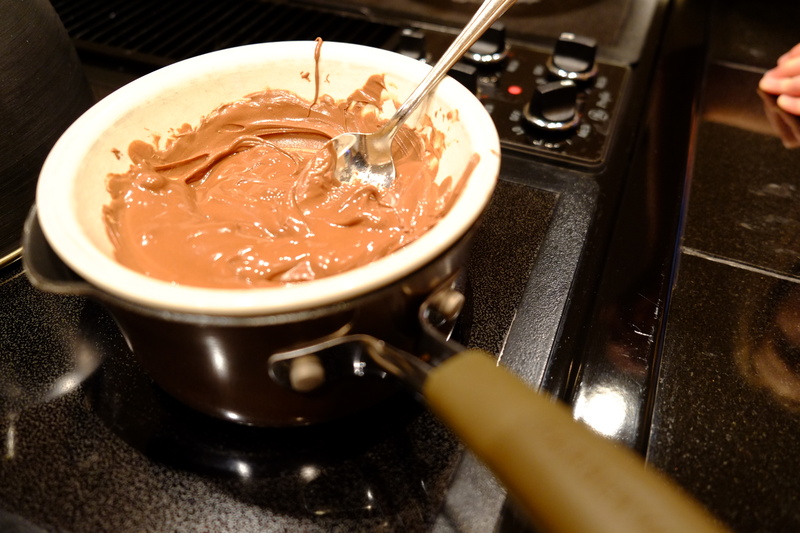 Melt two cups of chocolate (bittersweet, semi-sweet or milk) in a glass bowl set over a pot of gently boiling water. Dip the strips into the chocolate and then let them dry on parchment paper. 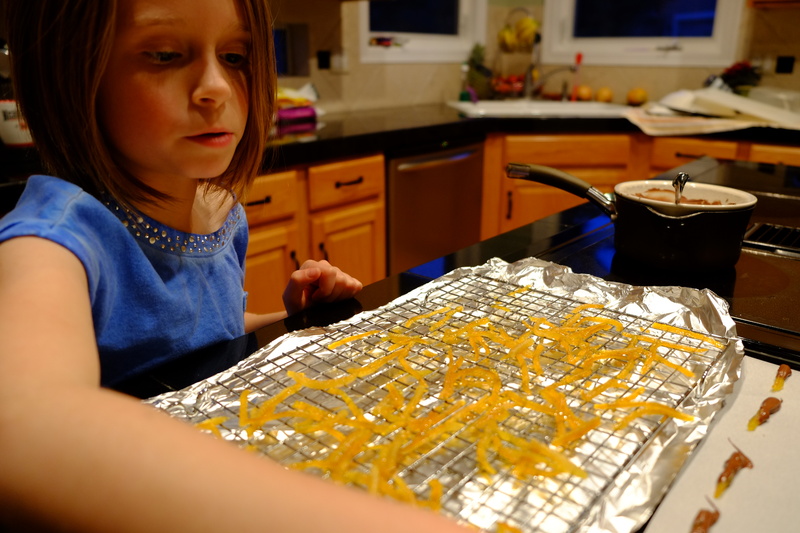 This entry was posted in Dessert and tagged chewy chocolate orange, Chocolate Orange, orange strips, orange zest. Bookmark the permalink.